Continuing with the #Expressyourshelf challenge I wanted to make the most of a large butternut squash and prepare a dish that would do for two meals. I have two lasagna recipes that use squash but didn’t have all the necessary ingredients so this is a new version. I like dishes I can prepare in advance and bake when required and this fits the bill perfectly. 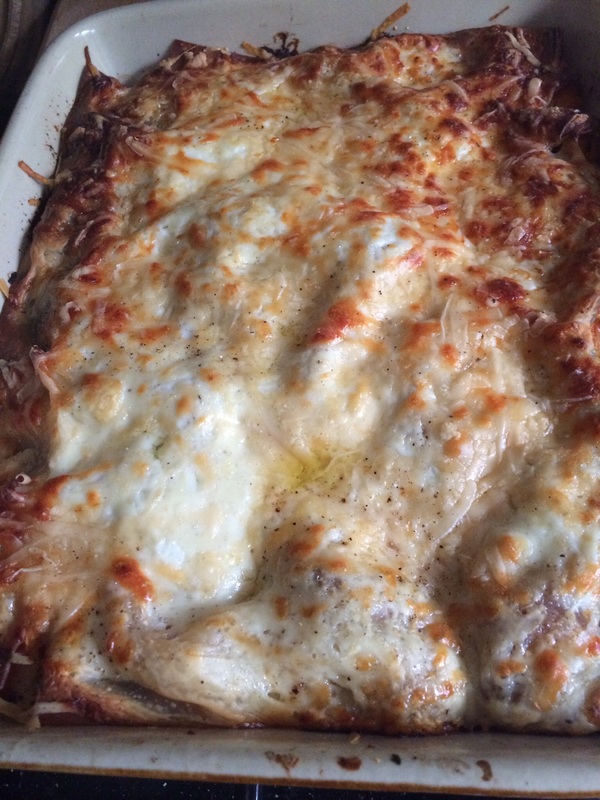 It was very tasty and yet not too rich and creamy like some other lasagna recipes I’ve tried. 1. Heat oven to 200C/180C fan/gas 6. 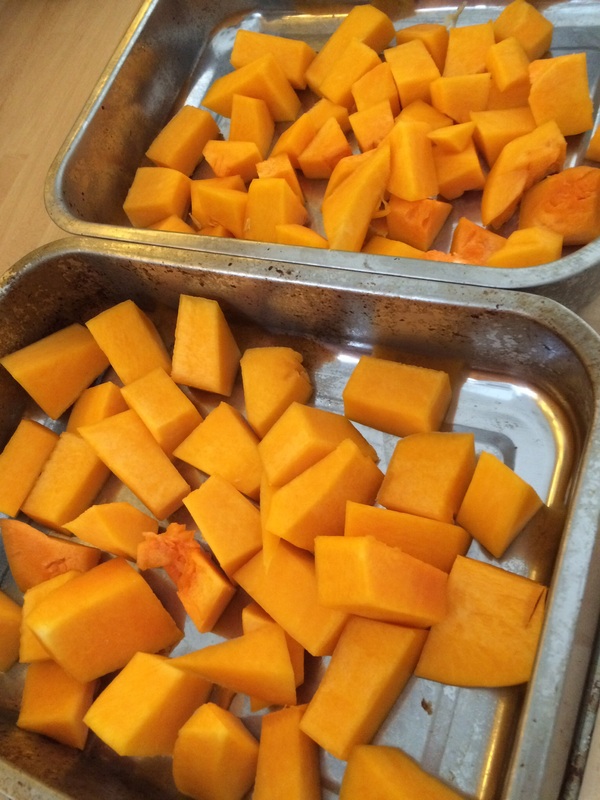 Peel de seed, then slice the squash into 1cm cubes. 2. Drizzle with the oil in a roasting tin, season well and then roast for 45 minutes. 3. For the tomato sauce soften the onion in a pan with the oil for 5 mins, then add the garlic and cook for another minute. Add the tomatoes and sugar and leave to simmer on a low heat, uncovered, for 30 mins stirring occasionally. Season to taste. 4. Put the frozen spinach in a pan over low heat until defrosted, turning occasionally to break it up. Drain away any excess water and return to the pan with a little butter and heat gently then season well with salt, pepper and nutmeg. 5. For the sauce bring the milk to the boil in a pan with the peppercorns, onion and bay leaf then set aside for a few minutes to infuse, then strain the milk into another pan. Add the flour and butter, then gently heat, whisking all the time until you have a smooth sauce. 6. Heat the oven to 200C/180C fan/gas 6. Butter a large baking dish. Put a layer of squash in the bottom followed by a layer of tomato sauce. Place a layer of lasagna sheets on top of this. 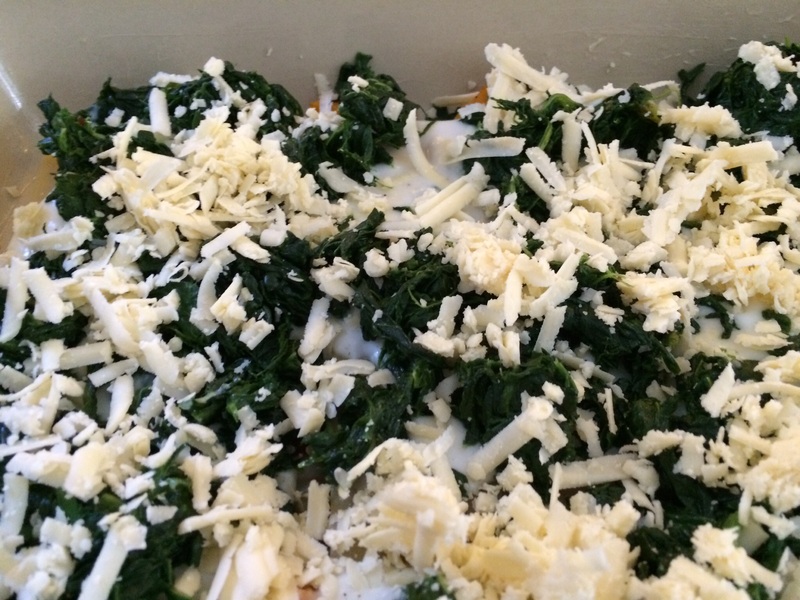 Add a layer of béchamel followed by the spinach and half the cheese. Top with more lasagna sheets, squash, tomato sauce, more lasagna and a final layer of béchamel sauce. Sprinkle the remaining cheese over the top. Bake for 40 mins until the lasagna is golden.